Qatar World Cup: Stadiums built with the blood of workers. Qatar may be the richest country in the world, but it certainly isn’t an example to follow regarding general human rights. Qatar will host the World Cup of 2022, and it is already building a titanic project. Qatari citizens won’t build themselves the stadiums but low-wage immigrants such as Bangladesh citizens, Indians, Sri Lankans and Nepalese will. These migrants are not treated as humans but as slaves. Nepalese have died at a rate of one every two days due to the dire working conditions and the extreme heat they are exposed to. The Guardian in 2013 exposed the mistreatment of immigrants and called it modern-day slavery,as defined by the International Labour Organisation. They face exploitation and abuses. Migrants are dying in the hundreds but Qatar has been very slow to change the situation. An Amnesty International reported that Qatar was “dragging its feet”. Recently, Damian Collins, an MP in the Conservative party in UK, has warned big sponsors that they should put pressure on Qatar regarding its mistreatment of migrants. Adidas, Gazprom, Hyundai, Kia, McDonalds, Budweiser, Coca-Cola and Visa should immediately condemn Qatar for the entire Kafala system and the horrible conditions of migrants. They have not yet answered to the MP’s call. It seems that business here is more important. Collins added that if the cows of McDonald’s were treated as bad as the immigrants in Qatar, people would have stopped eating McDonald’s. Qatar is also a very bad pupil in press freedom, and it recently repressed and scared foreign reporters that were too curious according to their tastes. Authorities followed, spied on, and arrested a BBC team that were invited by the PM’s offic to see new flagship accommodation for low-paid migrant workers in early May. 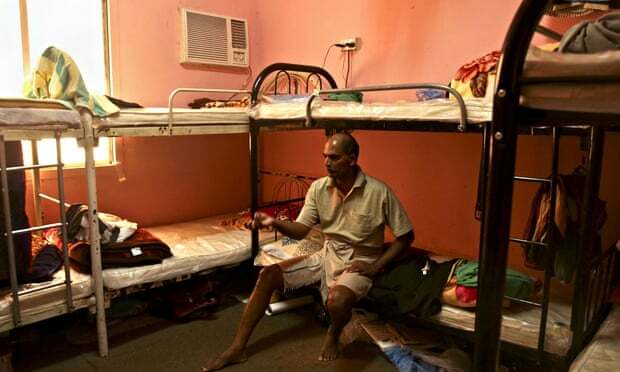 “This could be a method to intimidate those who seek to expose labour abuse in Qatar”, Mustafa Qadri, Amnesty International’s Gulf migrant rights researcher said to BBC. Fifa must be tougher on this and should suspend Qatar world cup construction unless Qatari authorities do the maximum to prevent all deaths and ameliorate the dire housing conditions. I personally already made my choice months ago, if someone invited me to watch for free all the matches of the 2022 world cup in Qatar. I would gladly refused. I won’t watch matches and applaud goals with the knowledge and consciousness that these stadiums were built with human rights abuses, mistreatment, slavery and blood. Previous Previous post: Nakba Day and Palestine: 67 years later. Next Next post: Liberation Day: 15 years ago Israel fled Lebanon.